Disclaimer - I'm not a doctor...obvs! So this is all based on my own experience. Don't make important health decisions based on what a blogger tells you. Do the research, talk to your GP and do what feels right for your pain. It's hard to trust your gut instinct when you're in pain but your body is always communicating. This includes walking away if any of the practitioners you use just don't 'feel' right for you. This has been a post that has been a while in the making and I promise it's not a self-indulgent one. 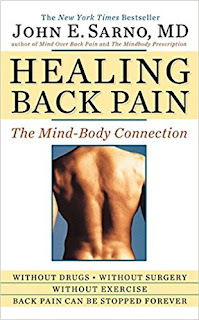 It's driven less by a desire for me to share my personal experience but more by the amount of questions from readers who wondered about my back, what the injury was, how it is now and what remedies and therapies I would recommend to anyone in a similar situation. So I'll keep this as factual as possible starting with sharing the good news that I'm pretty much pain free right now and not taking any medication. In terms of what the original injury was, it's nothing unusual. Like most people in their 40's, I have 3 bulging discs in my lower back which, like most people in their 40's, tend to just give me low level pain day to day. But every few years, I have what's called an acute episode where one of the discs bulges enough to touch the sciatic nerve, leaving me in intense pain and out of action for a number of weeks. I've had 3 acute episodes in the past 10 years and 2 less significant ones. There's no specific trigger for me though the first episode can be linked to the twins being 9 months old, at their heaviest and needing lifted constantly. I suspect with everyone's back, it's a combination of factors that brings on an episode and I think poor functional movement has a bigger part to play than occasional exercise like running. But more of that later. My first response now when I experience the intense pain, is to medicate. Good anti-inflammatories take up to 48 hours to take full effect so you need to start taking them immediately & consistently and be patient. The most important part of back pain is to keep moving and you can't keep moving if you're in excruciating pain. So I don't stress about moving the first day or two beyond what's essential, instead focus on getting the pain under control so you can start moving well in a couple of days. There's no point in looking for a Chiropractor, Osteopath or Physiotherapist at this early stage. I've learned the hard way on this one, wasting too much money on emergency appointments. There's very little that these practitioners can do for someone suffering with a new, intensely painful injury. Better instead to save your money for an appointment once your pain meds have kicked in a bit and you've started moving again. So once you're moving again, albeit slowly, what's the best therapy approach? I've tried it all but I will qualify that by saying each therapy is hugely dependent on the practitioner so do ask around and get recommendations locally to you. I have used physio most often and to good effect though my experience is that it's best done when you're over the worst of the injury and pain. The main benefit of Physio is that it will teach you the right exercises and stretches to work on at home which will speed up your recovery. Additionally, most physio practices will have some form of pilates class running in-house and this should form part of your longer term recovery to prevent a reoccurrence. More on Pilates below. For anyone local, my physio of choice (and I've been to a few!) 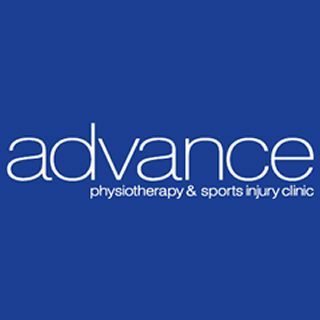 is Advance Physio in Lisburn. I've used Caroline and Tim and they are both excellent. Their pilates instructor Steve is also brilliant. I used a chiropractor with my first episode back about 9 years ago and the combination of traction and cracking/realignment did seem to help but I'm not a fan of cracking the spine and it started to completely freak me out. I tried a different chiropractor with an episode I had about 4 years ago and it actually worsened my pain so for this reason I haven't been back since. Out of all of the options, this is the one where I feel it's most important to get a really solid recommendation. I have friends who swear by this treatment and for whom the pain relief is almost instant. It's just not for me. 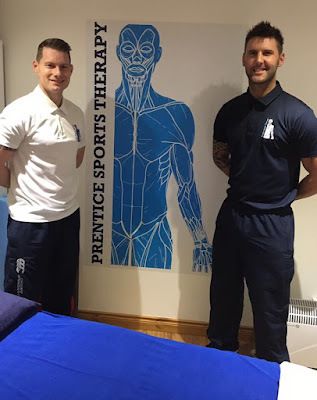 While in the midst of intense pain this summer, I attended Paul Prentice, a sports therapist who has worked with top sports stars locally, including the NI Football team. I contacted him via Facebook and he offered to work on my back and legs to see if he could ease out some of my nerve pain. His sports therapy clinic is in Donaghcloney, near Moira and it was worth the drive because it was the single most effective thing I tried in all the time I was in pain. It's a pretty intense massage but it was exactly what my knotted-up back needed. The ease in my sciatic pain was almost instant. It was still there but it had changed from a sharp shock to a dull ache. I almost floated out of the treatment room! If Paul was closer to me, I would attend more regularly as I think massage is one of the best ways to prevent re-occurrance of back pain. 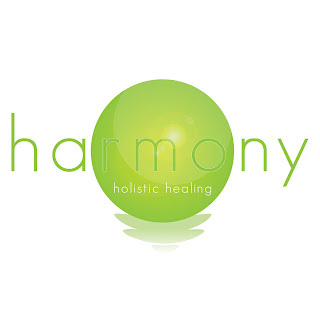 I believe this because for the past 3 years or so, I've had regular deep tissue back massages with a friend Kate Morrow, who has a therapy room called Harmony Holistic Healing, a bit closer to me in East Belfast. Kate is not a sports therapist like Paul but she specialises in a range of natural therapies like Reflexology, Reiki and Indian Head Massage and we've known each other for many years as we were Neal's Yard consultants together. It's always been my feeling that this 6-weekly treatment with Kate was key for pushing toxins out of my back and loosening up the muscles, helping to keep another episode at bay. I think it's no coincidence that my last episode was partially triggered because I'd not been to Kate for a number of appointments due to other priorities (the wrong ones as it turned out!). So I strongly recommend investing in a regular deep tissue sports massage to reduce the chance of back pain episodes. It's a bit of self care that will pay dividends as you get older and it costs less than an emergency physio appointment. There are so many reasons why pain strikes and I'm a firm believer that although your back might be the only bit of you that's sore, there can be a number of triggers from all over the body, not least, stress and an inability to sit still and self care. I have another friend called Kate Moscato who is a reflexologist and when my pain was at its worst and I was unable to tolerate manual therapy, her reflexology treatments were the only thing that helped me relax a little. Again, quality of therapist is key here so shop around and ask. Generally speaking, I'd say that a beauty salon offering reflexology wouldn't be my first choice. Look for someone who only does reflexology and other natural remedies and if possible, find someone who works from their own home or better still, will come to yours! I tingle all over from the beginning to the end of my reflexology treatments with Kate, which take place in a dedicated space in her home. She is professional and knowledgeable about the practical application of reflexology but she also has something magical going on in her hands. I don't know how to put it into words. All I can say is that if you want an hour of pure bliss and relaxation, give it a try. It's not going to fix a bad back, I get that but for sciatic issues specifically, it's excellent as Kate can work on the base of the sciatic nerve with some pretty intense pressure point stuff which does help to ease the tension in the nerve. Mainly, it does wonders for the mind. When you're in acute pain, your mind plays tricks on you, telling you how sore you are, making you feel negative about recovery and if you add in drugs, you can get yourself in a right depressive fog. That's where a reflexology treatment really comes into its own. Once you're mobile again and particularly when the pain drops to a 3 or 4 (out of 10), exercise really comes into its own. With all three episodes, I struggled to shift the last bit of pain until I started exercising. Perhaps it's the flow of blood to the muscles or the psychological effect of participating in exercise again? Whatever it is, it works and there's no doubt it helps prevent future episodes by keeping you strong and mobile. I currently do a circuits class weekly (Mike McComish - Campbell College), an intervals outdoors running class (The Freedom Method - Hollie Edgar) and pilates (which I'll talk about further below). The circuits and intervals build muscle and strength as well as fitness and also are perfect because they give you an all over workout and you can easily opt out of any of the exercises that aggravate your injury. UPDATE - May '18 I've just done a back specific PT session with Mike McComish involving bands and sliders. Really amazing way to build the core and teach it to work as one in supporting the back. Very beneficial and useful to invest in a session or two if you're unsure what to be doing in the gym or at home to keep building the strength. I was recommended this book by a number of people who read the blog and I did really enjoy it and found it extremely thought provoking. There's definitely lots I wish I had read while I was in the middle of my pain, especially when it was getting me down - I think there's a lot that's psychological when it comes to pain - especially chronic pain. As a book, it has less application for me now I'm pain free so I'd recommend it if you're suffering ongoing pain. It's on the bookshelf for me to re-read if I have another episode. The most medical of all the things I tried and the one that worked the least! I'm not going to go into too much detail here as this is very much one to discuss with your doctor but for me, I was unlucky enough to be in the 20% of people for whom pain relief doesn't happen. I opted to pay for my injection as the waiting list is long and I was desperate. I had all the symptoms and reactions that would indicate it had worked (numbness/shooting sensation down the leg etc) and followed the after-treatment guidelines after (no movement/lifting/twisting etc) however, I was still in pain the next day..and the day after and indeed for a number of weeks after that. Not the instant pain relief that 80% of people get but I had to try it. So it ended up being an expensive opportunity to admire some injured professional sportsmen going in for their treatments in the clinic. The coffee and home made scone afterwards were amazing tho!! Finishing with something that everyone with a back should be doing regularly regardless of whether you have pain or not. I had stopped Pilates for about a year before my most recent episode and I definitely think the lack of a regular pilates class was a contributing factor. It keeps your joints and most importantly, your spine, mobile and active and prevents injury. If you do just one thing on the back of reading this post, make it a Pilates class. Your 80 year old self will thank you. Incidentally, it was at my most recent pilates class that the physio trained instructor identified a significant functional movement issue with my back. No-one in my gym or in previous pilates classes had spotted this and it's changed significantly how I squat and bend. Incidentally, with regard to Pilates, I've tried reformer and mat pilates and find the latter is better tolerated by my lower back. Also, if you're local and looking for a recommendation, I have attended Kathryn in Belfast Pilates Studio in Finaghy. I can also highly recommend the classes in Advance Physio in Lisburn. The latter are APPI based - which means they are physio based, the former are Body Control classes. Both excellent though APPI classes are probably a better option when in pain or recuperating from recent injury. Like all health challenges, there's no single thing that causes back pain and no single thing that will fix it. I can identify now that my episodes are a combination of poor functional movement, a lack of pilates based exercise & muscle tightness in my hips and legs. There is also a genetic predisposition as is the case with most health issues. My back is long - I'm tall and my height is in my upper body. My mother suffered with similar issues at my age. I've had a twin pregnancy to full term with a c-section which has weakened things. So everyone will have different physical reasons for back pain, that then your poor functional movement will feed off. I have to accept that I'm prone to these episodes and despite my best efforts, I will probably have more as I get older. But I will remember that I heal each time and the good habits I keep in between episodes will make the healing process happen promptly each time. I'm worn out writing this one...it's probably taken me a few months to finish. But it's good to get it all documented for future reference. Most of all, I hope it helps some of you reading. In fact, if it helps just one of you, the effort will have been worthwhile. Most of all, to everyone who supported, messaged, listened to my moaning on Instagram stories and gave me wonderful ideas and contacts to help - THANK YOU. I won't really look at the Summer of 2017 too fondly from a health perspective but I'll never forget the kindness shown to me by so many readers.